I dare you not to buy any new books until you've cleared a few of those dusty or chunky books from your TBR pile. You know, the ones that have been calling your name but you've been ignoring them in favor of that brightly polished, got to read it now, new book. Ah! The siren song of new books. They sing so sweetly, but stop and listen and you'll hear the clear bell tones of an old, lonely friend on the shelf crooning your name. The dusty books are the ones that have been sitting on your shelves for a while - you know which ones. 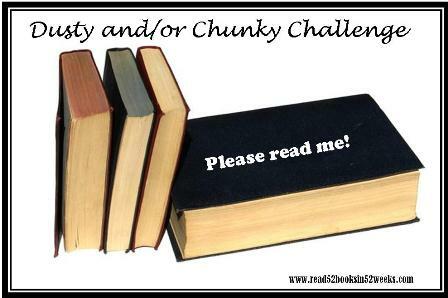 The chunky books are more than 500 pages long and will take a bit more time, but oh so worth it. One month - Go for it. Two months - You can do it. Three months - Hang in there. Four months - Stay strong. Six months - Coming out on top! What? You want to keep going? Nine months - Right on! Ten months - Keep on Fighting! Twelve months - You Rock!!! !